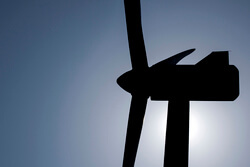 Vestas has been awarded a contract by renewable energy projects developer Andali Energia S.r.l. to supply and install 10 V136-3.6 MW turbines for the 36 MW Andali wind farm located in the Calabria Region in Italy. This is the result of the first Italian auction held in 2013 and adds to the more than 1 GW of contracts signed by Vestas in Italy’s auction system. Turbine delivery and commissioning are planned for the second quarter of 2019. Rainer Karan, General Manager of Vestas Mediterranean Eastern Cluster, highlights, “This project showcases, once again, that Vestas is the preferred supplier to compete in auctions. Our vast experience, in-depth customer knowledge and innovative technological solutions make Vestas the wind energy leader globally as well as in Italy. We are proud to work in close collaboration with customers like Andali Energia and we hope this contract becomes the beginning of a fruitful relationship”. Since installing Italy’s first wind turbine in 1991, Vestas has installed more than 4 GW of wind energy, representing over 40 percent of the country’s total wind capacity.